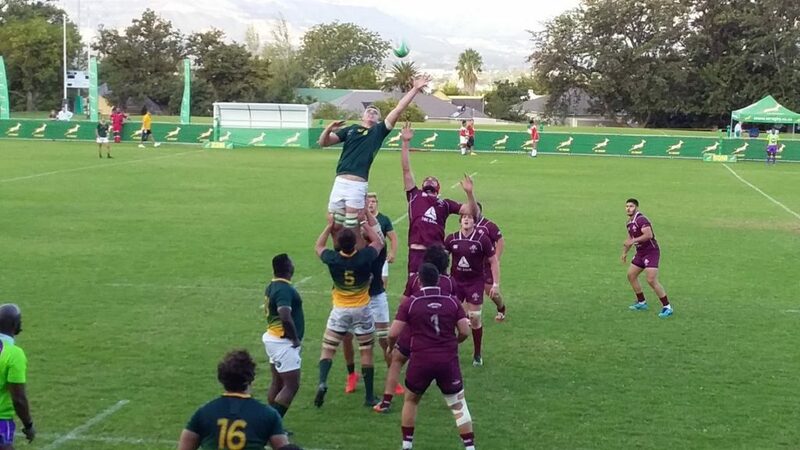 Junior Boks captain Francke Horn scored four tries to help his side claim a 58-10 victory over Georgia U20 in Paarl on Tuesday. The hosts started their three-match series, which will also see them take on a senior Namibia XV and Argentina U20, very well. 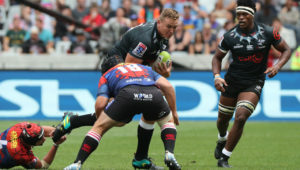 There were standout performances from Horn, while the halfback combination of Jaden Hendrickse and flyhalf David Coetzer looks to be a promising one. The Junior Boks opened the scoring through a Coetzer penalty and a charge-down try from Horn, who picked up his second soon after by driving over the line from close range. Georgia responded through a penalty from flyhalf and captain Tedo Abzhandadze and a penalty try from a powerful 5m scrum. Horne sealed his hat-trick in just the 18th minute by finishing off a fine counter-attacking move in the corner. Coetzer added his second penalty to make it 25-10 and then scored a try from a break. A strong run from flank Celimpilo Gumede took the score to 32-10 at half-time. The second half was far tighter, as both teams rung the changes and tested their combinations. The Junior Boks’ first score of the half came through replacement lock Janko Swanepoel. The hosts then ran riot in the final five minutes, with Horn grabbing his fourth after a great run and offload from Phendulani Buthelezi, and wing Caleb Dingaan also going over after dovetailing with fullback Qamani Kota. Substitute James Mollentze scored a wonderful individual try to add further gloss to the scoreline. 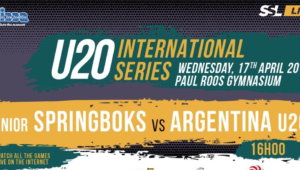 The Junior Boks next face the Namibia XV in the second round of the U20 International Series at Tygerberg Rugby Club in Cape Town on Saturday. Junior Springboks – Tries: Francke Horn (4), David Coetzer, Janko Swanepoel, Caleb Dingaan, James Mollentze. 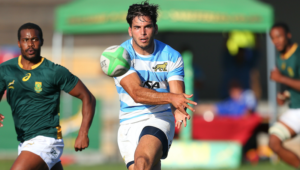 Conversions: Coetzer (6). Penalties: Coetzer (2). Georgia U20 – Try: Penalty try. Penalty: Abzhandadze. 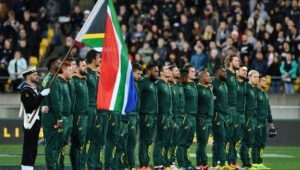 Junior Springboks – 15 Qamani Kota, 14 Caleb Dingaan, 13 Mnombo Zwelendaba, 12 Rickus Pretorius, 11 Thaakir Abrahams, 10 David Coetzer, 9 Jaden Hendrikse, 8 Francke Horn (c), 7 Celimpilo Gumede, 6 Sibusiso Sangweni, 5 Elrigh Louw, 4 Lunga Ncube, 3 Asenathi Antlabakanye, 2 Dameon Ventre, 1 Kudzwai Dube. Subs: 16 Joe van Zyl, 17 Hanro Jacobs, 18 Nkosikhona Masuku, 19 Janko Swanepoel, 20 Jaco Labuschagne, 21 Evan Roos, 22 Vusile Dlepu, 23 Sabastiaan Jobb, 24 Phendulani Buthelezi, 25 James Mollentze, 26 Jay Cee Nel, 27 Marnus Potgieter, 28 David Kriel.